Still sorting out the details on sharing a crail track day with Glenrothes Motor Sport Club. Will confirm details very soon but at this moment in time we are hoping to have this on Saturday 21st May. Cost would be £50 with the track session running from 10am to 3 pm. Also, if this turns out to be the sort of thing that you guys want and we get a good number of people taking part we may look at running the same sort of thing later in the year around September time. Hopefully details will appear in the next week. Count me in Col, b n b available LOL. sounds great Colin, im still well up for it anyways! 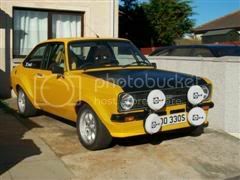 Is this limited to old skool escorts? 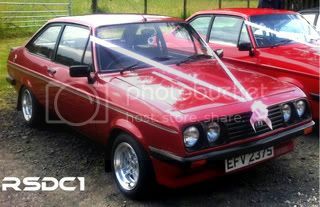 Mine wont be ready but would a 3 door cossie be welcome? Some details still being clarified but can confirm cost as £50 with a second driver being £35. Those that want to take part in other cars other than escorts will still be welcome due to this being a joint venture with GMSC. Don't want to appear thick.... but, I take it helmets are required? Yep, helmets required but will not need to be msa approved. Nae saucepans mind! Would a none Ford be acceptable? 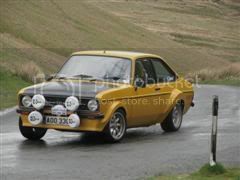 On this occasion a non ford is also welcome as this is a joint venture with Glenrothes Motorsport club. What car did you have in mind? 500 bhp impreza sprint car. Or is that to OTT for this meet. Not a problem if thats what you want to bring. Would have been nice to have all escorts but to make an event like this go ahead we need cars out on the track on the day. The plan is to have a relaxed day just enjoying the cars. will be fab to see some of the old skool stuff am a petrol head at heart just enjoy being around like minded people and hopefully this time next year should be wearing a MK1 on the track.